Global Radio has at midnight launched its latest new digital radio station on national DAB, replacing Smooth Xmas. Smooth Extra, opened with the Mama Cass hit Dream a Little Dream of Me following the midnight news. The offshoot of Global Radio's popular Smooth Radio network will target listeners over 45, playing songs "from a broad range of decades". Smooth Extra takes the slot that until Smooth Xmas launched in November was used by the main Smooth Radio service. The original Smooth Radio service continues to be available on local DAB in many parts of the country, alongside transmissions on FM and AM. Global Radio meanwhile plans to launch an offshoot of Heart on national DAB in the new year. 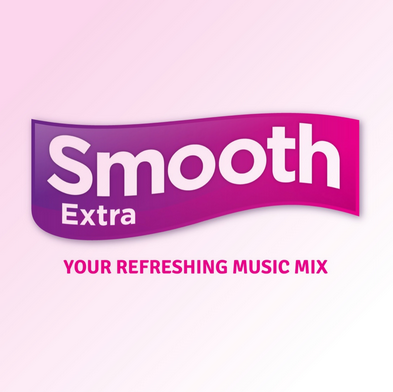 UPDATE: Details of the station's regular schedule have now been published: Smooth Extra will simulcast its parent station during the night and at breakfast time, with the London Breakfast show going head-to-head with regional breakfast shows in areas including the East Midlands and North West. Been listening to Smooth Extra today, seems OK, interesting when Heart Extra launches in the New year, good choice. I just wonder if they will launch Classic FM Extra any time soon, that might be fun. I don't get the point of all these Extra stations. They are just the same thing ??????? I am a Radio 2 Listener but now listen mainly to Smooth radio,i'm yet to try out Smooth Extra to see how it differs! Is it any different though?I will try it but the frequent adverts get on my nerves so might just go back to good old Radio 2 which is better now than it was back in the 60s & 70s when it was mainly 'Light' music like big bands,Semprini serenade,Sing Something Simply etc.Radio 2 now appeals to all ages as they play all kinds of music,but without those annoying adverts that Smooth radio And Classic FM have.